The Department of Justice has started issuing charges against members of a caravan parked at the southern border with Mexico. Late Monday night, charges were filed against 11 members for illegally entering the United States. One of the caravan members has been deported before. 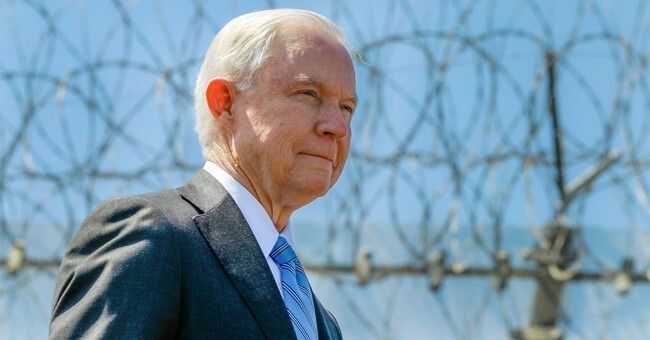 According to DOJ, the members charged purposely evaded immigration authorities by entering the country at "a time and place other than as designated by Immigration Officers, and eluded examination and inspection by Immigration Officers." The members of the caravan, made up of illegal immigrants from Honduras, arrived in the United States late last week after Mexico failed to stop them. They claim to be seeking asylum in America.